Spring has sprung! 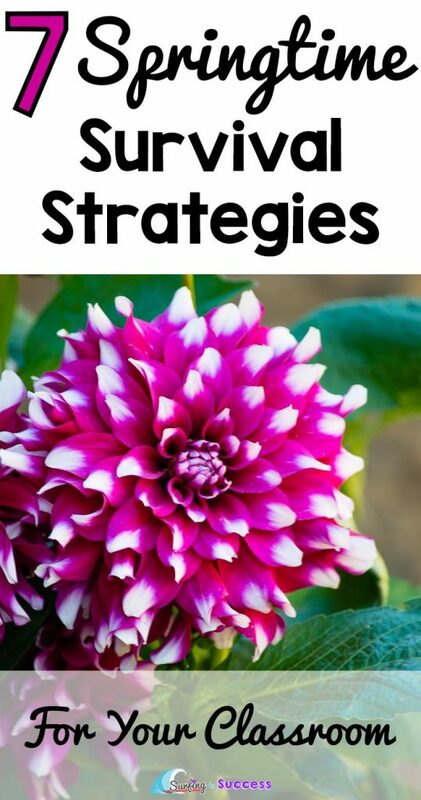 As the weather warms and you your students become restless, try some of these springtime survival strategies in your classroom and let me know how they work for you. At this point of the year, the students are used to all the awesomeness in your classroom. Introducing something new can make a world of difference. Amazingly, something as silly as smelly markers can make your day easier. Have students check in when they finish a certain section and give them a star with a smelly marker or put a sticker on that section. Suddenly, they are rushing to finish their work. Introduce a new element to something you already do. If you give team points, give them in a different way. Something as simple as changing from points on the board to marbles in a jar can make something old feel new. Using glitter pens when writing under a document camera can make kids excited to watch you as your words and numbers sparkle. Wondering what pens I used? Click the pictures for amazon affiliate links to pens I bought last week. It is amazing how something so simple can change the mood of the classroom. These pens can make grading fun. Metallic markers make your artwork shine. While your students have shown they can work for 20 minutes independently, there is a lot that gets in their way at this point in the year. They know each other so well. They want to go outside. If we want them to be productive, we need to give them short chunks of time to work with. They just don’t have the stamina and concentration they once had. One game I play with my students is Beat the Teacher (no not physically:). If I want them to practice long division, which requires concentration, I’ll give them one problem at a time and turn it into a contest. Their goal is to finish the problem on their white boards before I do. Since I work faster than they do, I walk a lap around the classroom in between each step. I also started creating PowerPoints that include a Beat the Clock element. The kids love trying to answer before the computer does. Since students are feeling super social, let them do the talking they want to do in an academic way. Create more reasons for students to speak to one another. Use strategies like Think/Pair/Share and Random Reporter to structure discussion time and make it useful. Giving structure to group work time can also help provide useful discussions. As the weather warms up, we want to be outside playing. Sometimes you can go outside and work, but when you can’t, you can still let them move around. Play Scoot with task cards. Hang the task cards around the classroom with washi tape. Have a different assignment at each team and move them with a timer. Here is one of my favorite ways to keep them moving and break up an assignment. I use this a lot with manipulatives. Give a short assignment while your students are on the carpet. Then, have them go to their seat and complete it before your timer goes off. Students return to the carpet when they are done and you give them the next challenge. I did this recently with fraction tiles. I introduced how to draw fractions on an open number line and then check it with the tiles. I set a timer for them to try it. Then they returned to the carpet with their answer. While your early finisher tasks used to be super exciting for your students, they’ve lost their appreciation for those tasks. Creating new early finishers can motivate them to get their work done. Sometimes having “Today Only” or “This Week Only” early finishers tasks can be super motivating. If your looking for ideas, try having students come up with possibilities during a class meeting. Then, you can choose two or three each day that are open. Direct instruction is a challenging time during the spring. 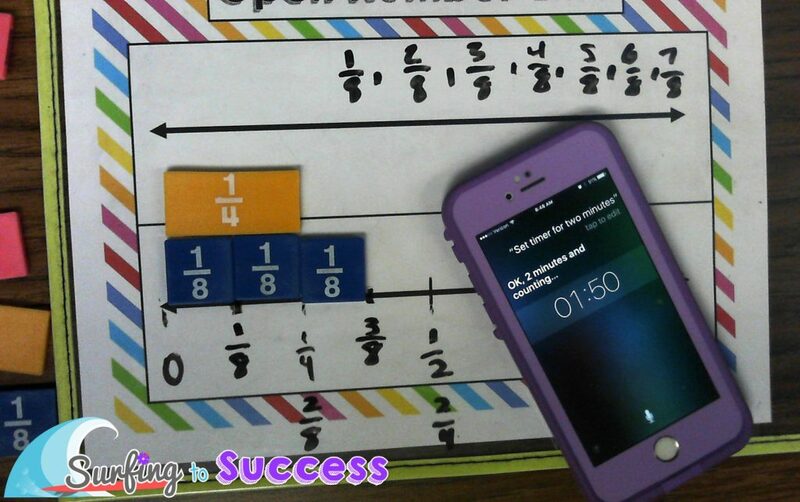 Kids will need a little help to remember to focus or show SLANT. It’s amazing how much better certain students listen when you stand near them. If you use technology during direct instruction, a wireless keyboard can be your best friend. Using a wireless keyboard allows you to be in a different part of the room next to your favorite buddy. Sometimes I hand my keyboard to a friend that needs help concentrating. Now, they need to watch me to know when to push a button. Your kids will regress in their behavior at this time of the year. You might want to say, “I know you know how to do this!” or “Why can’t you just be quiet? !” Try to take a deep breath. Accept that they are going to be chattier than they use to be and will have a harder time to focus. You are feeling antsy too. Its normal. Its not personal. They are just squirrlier in the Springtime. If you find yourself tensing up, place your tongue on the roof of your mouth. It will help relax your face. 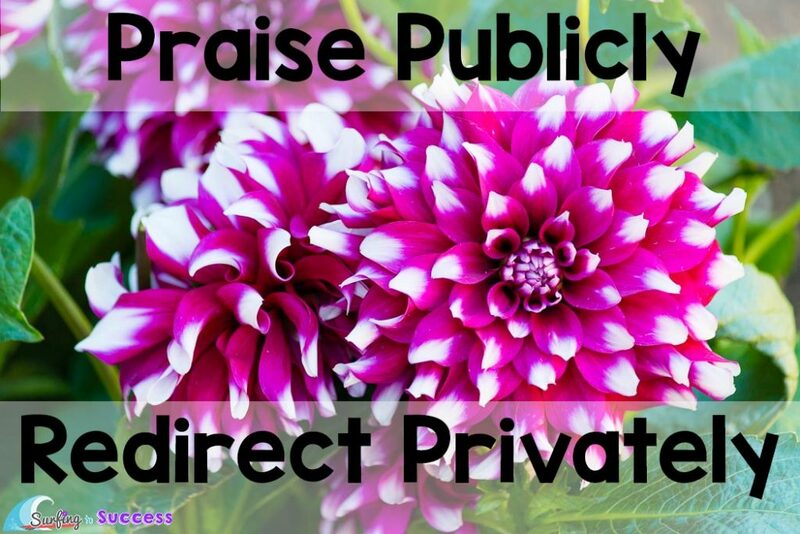 If you find yourself feeling frustrated, remember to praise publicly and redirect privately. Remember, you will survive.